Seeking Artists, Photographers and Musicians for “Arts in the Plaza”. “Arts in the Plaza” takes place in Kennedy Plaza on Saturdays beginning in May through October 2018 and is seeking Musicians and Performers along with visual artists and photographers. This initiative partners all of the local Long Beach arts organizations and will provide their members with the opportunity to exhibit and sell their art. Musicians will have an opportunity to perform in a public venue and sell their CD's and merchandise. Each week different artists and musicians will participate, giving residents and visitors the opportunity to experience visual arts and music from our talented local art leagues. Hours of operation are from 10am-3pm. Requirements to exhibit or perform at “Arts in the Plaza”: you must be a paid member of at least one of our local art organizations and you must be registered and scheduled in order to exhibit your art or perform your music. 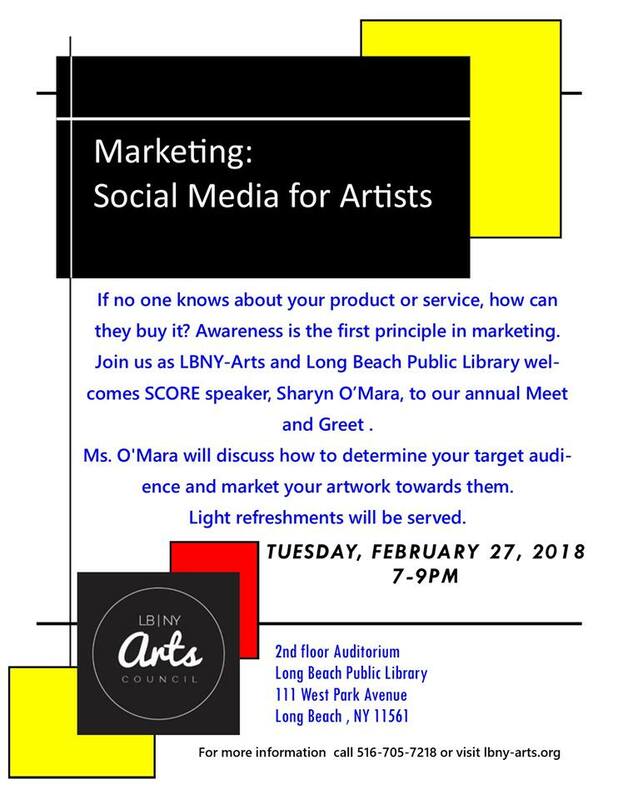 Organizations include the Long Beach Art League, West End Arts, Artists in Partnership, Inc., the Artist Mothers Group, and the South Shore Photo Club. Support Artists in Partnership, Inc. by renewing your membership or becoming a NEW MEMBER TODAY!